Holy crap, guys. It's August. Usually, August is a slow month for me in the shop. But this year, I've been accepted into Cider Days, a local Fall Arts and Crafts festival. So, I'm transitioning from prepping for one craft show to another. It seriously looks like I won't have a break from felting until January. But you know what? I'm okay with that. Maybe I'll just go buy a lottery ticket. ---We gathered (and still are gathering) strawberries from our garden. ---I was accepted into the Strawberry Swing Indie Market. ---I made a strawberry brooch for week 22 of 52 Weeks of Felting. ---Aaand, Tudor the box turtle was caught munching on a strawberry. 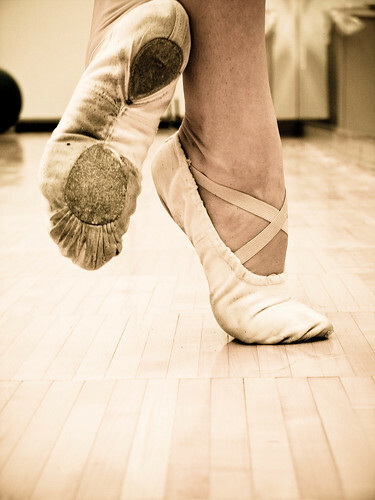 In June, I'll be prepping for the Swing and, believe it or not, prepping for the holiday season. I'm still working toward that 15k and adding money to my tattoo jar. At my zoo job, summer camp classes just started. I teach 2nd to 6th graders, and this summer our topics include pet care, exhibit design, zoo careers, conservation, animal locomotion, and animal languages. This week was the first week, and I had a blast--though I did lose my voice. Not really ideal for a teacher. We made habitat dioramas and catnip lion toys. You guys! IT'S APRIL! April is my favorite month for lots of reasons! My birthday is in April, my wedding anniversary (5 years!) is in April, my favorite flowers (tulips) bloom in April....I mean, come on. Oh, and I'm going on a trip soon....can't wait!! So anyway, I'm linking up again with Erika and Beth for The List! I usually start these lists with some exercise goals for the month. Let me just toot my own horn for a minute. During the 31 days of March, I worked out 32 times! Can I get a hell yeah?! I've been doing Jillian Michael's 30 Day Shred and am really seeing and feeling results. I'm definitely stronger. I will be continuing this. I don't do it every day, because I've also been running, biking and doing other classes, but I do it at least 4 times a week. Since I'll be on vacation for part of the month, I will do my best to keep my strength and cardio fitness up, but I'm sure there will be a bit of a decline when I get back. No biggie, though. Oh, and tomorrow is The Color Run. Wish me luck for my first 5K! I tried a new felting technique last month. These are my first two felt paintings. I really, really like them, so expect some more. --The Guv'ner by Lush. We picked this up in Ireland last year. (I visit Lush when we go to Europe, because there aren't any too close to my home...) Apparently, this is supposed to be for boys. My husband uses it too. It's a powder, and not an anti-perspirant, which is something to get used to. But the scent is very herbal, and not overpowering. --No Drought by Lush: This is my first and only experience with dry shampoo. I never thought I could be one of those girls who could skip a day of washing their hair. But turns out, I just had to train my hair and scalp. It probably took about six weeks of not washing my hair on the weekends and wearing dirty hair in a ponytail, but it was worth it! I LOVE my second day hair! And I love this herbal scented dry shampoo! --Argan Hair Oil: I've been using hair oil for a while, but recently switched to this brand, and I'm loving it so far. --Mineral Fusion makeup. I also recently switched most of my everyday makeup to this brand. The coverage of the concealer and pressed powder foundation is decent without being heavy. And I'm really impressed with how the nailpolish wears. Usually I have a chip within 12 hours, but I can wear this for a few days without issues. And that coral! Oh, I think that's enough rambling for now. Come link up with us! February: I've got plans for you! 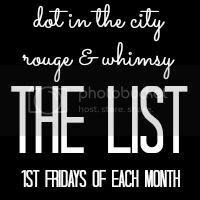 I'm so excited to be linking up with Erika at rouge & whimsy and Beth at dot in the city for The List. 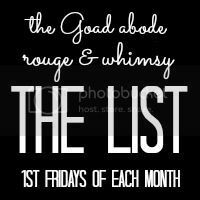 The first Friday of every month, we'll be sharing our lists with you. "Lists of what?" you might ask. Well friends, I've got a list of lists, so you'll be reading about what I'm currently obsessing over at the first of each month. I write lists like none other, so I'm sure my topics will run the gamut.